“We have seen something that fills us with intrigue and astonishment. It is hard to explain it in words,” wrote a reporter for the La Manana de 25 de Mayo newspaper three decades ago. 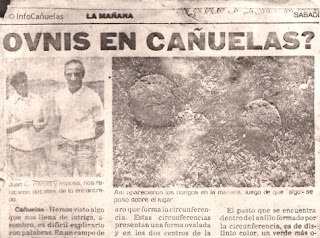 The reason for his bewilderment was the discovery of eight circles, measuring between 10 and 20 meters in diameter, at a field owned by Juan Carlos Parodi in the locality of Uribelarrea. The slightly oval circles were clearly demarcated on the ground with scorched grass around them and marks left by some sort of rectangular landing gear. The white mushrooms found throughout the sector were also scorched. Similar markings were found at a field adjacent to Parodi’s, although La Mañana did not mention the owner’s name. 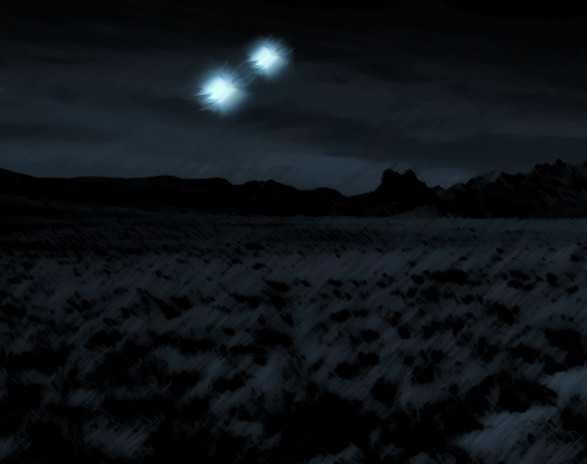 Another resident of Uribe, Marques Pinto, said that on the night the strange circles appeared he saw very bright lights moving away at high speed. At around this time, 17 September 1985, a strange apparition also startled residents of Cañuelas. A luminous shape flew over the northern end of the city. The object, which was picked up by radar towers at Ezeiza Airport and the Argentinean Navy, was seen in districts of the southern region as well. To some it was nothing more than a research balloon belonging to Australia’s EOLOS plan, but a large part of the population believed it was a UFO. Our friend and colleague Luis Burgos of the Fundacion Argentina de Ovnilogia adds: "I investigated this case 33 years ago. It took place on the night of Novemeber 4-5, 1983, with a total of 42 UFO landing marks. A remarkable event of a multiple descent, with witnesses - local men playing cards at an adjacent field took the lights to be poachers. The time was 0200 hours in the early morning of November 5th. The fog lifted around 11:00 am and the 42 ground marks appeared: two horse-shoe shaped forms, 23 meters in diameter, scattered throughout the Parodi field."